​What's scarier than the ghost of Halloween? It's Petsa de Peligro! 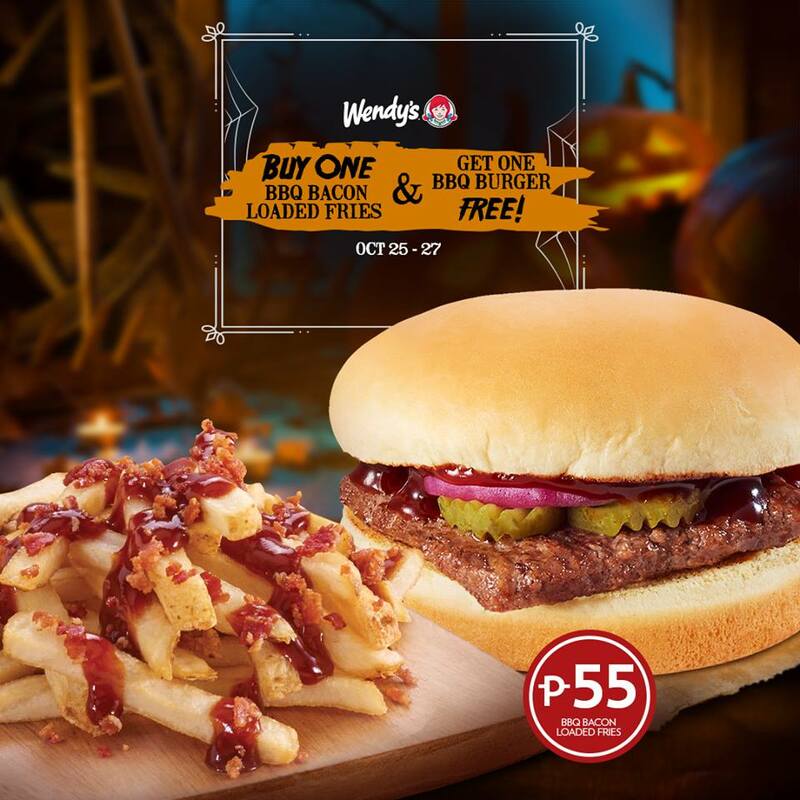 Have no fear because you can scare your hunger pangs away with Wendy's 55-PESO budget promo! Just purchase Wendy's BBQ Bacon Loaded Fries for P55 only, and you get a FREE BBQ Burger for FREE! Promo runs until October 27 only in all Wendy's stores except NAIA 3.